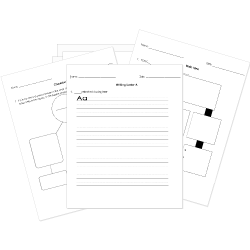 You can create printable tests and worksheets from these Grade 9 African-American Literature questions! Select one or more questions using the checkboxes above each question. Then click the add selected questions to a test button before moving to another page. What was Martin Luther King Jr.'s dream? How is the Emancipation Proclamation connected to this speech? Why do you think the "I Have a Dream" speech has become one of the most well-known speeches of all time? What emotions do you have while reading the speech? Cite examples of particularly emotional lines.